June 12, 2018 – Zenande Booi, the Leitner Center’s 2017 Crowley Fellow, penned an op-ed on the impacts of land dispossession on the rights and livelihoods of poor black communities in South Africa. 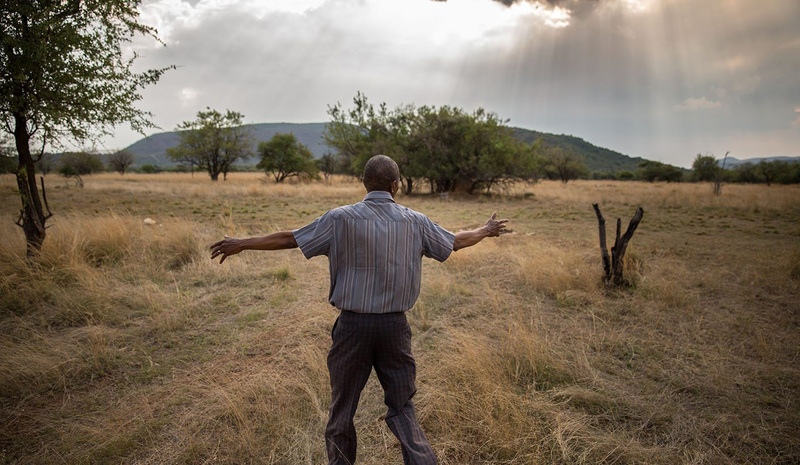 Booi, now a researcher with the Land and Accountability Research Centre in Cape Town, South Africa, highlights the privileging of mining over protection of communities’ surface rights, the dispossession of poor black communities without their consent or compensation, and a current appeal to the Constitutional Court of South Africa arguing for the land rights of rural communities in mineral-rich areas. As a Crowley Fellow, Booi and her students examined rural governance and land rights in South Africa in a year-long program in partnership with local organizations, culminating in a 2-week fieldwork documentation project to affected areas in the Eastern Cape, KwaZulu-Natal, Gauteng, and the Western Cape. More information about the Crowley project in South Africa can be found here.